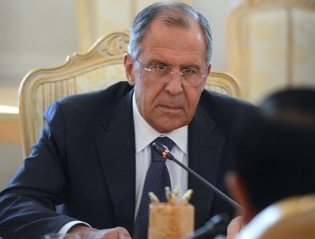 The actions of NATO have resulted in the Libyan crisis, Russian Foreign Minister Sergei Lavrov is sure. He said this on the eve of his visit to Cairo, the website of the MFA reported. According to him, as a result of the intervention of the North Atlantic Alliance, the country was plunged into chaos. Libya has become a source of instability, where terrorism flourishes. There is no doubt, the head of the department adds, that the statehood in the country needs to be restored, and it is necessary to start an inclusive dialogue. We must assist the Libyans so that they can cope with existing differences, Lavrov states. Then they will be able to reach a stable agreement on the parameters of national reconciliation. Moscow supports the efforts of the Special Representative of the UN Secretary General in Libya, Ghassan Salamé, to resolve the situation. Earlier, the MFA stated that Russia could participate in resolving the conflict in Libya. UN Secretary General António Guterres urged the parties to avoid military clashes. Russia joined this call, noted the MFA. The power scenario will lead to disaster, as it will break the very tense situation in the country. As a result, there will be new victims and destruction. The MFA stressed that there was no alternative to a political settlement in Libya. Libyan military-political forces need to take responsibility for the fate of the country on themselves, abandon the armed methods of the struggle for power and take the path of jointly solving the priority tasks of restoring Libyan statehood, including the fight against terrorism.